Any planet in the first house shapes your personality in a big way. Jupiter here makes you jovial (a word that comes from Jupiter). You're leading with a lightness that gives others a contact buzz. Don't underestimate your luck, when you're stepping out with the planet of good fortune. The lucky so and so with Jupiter in the First House or Aries feels best when acting on his/her own instincts. It's vital to take creative risks, and since Aries means action, sometimes the risks are physical ones. Some shy away from competition, but a Jupiter Aries soul comes alive, testing his or herself, against the wit or skill of others. To understand Jupiter in Aries, think of the over-the-top burst of life in Spring. Aries is a sign that's tilting forward, just as Spring Equinox is the tipping point to sunnier days spent outdoors. It’s a Jupiter that is prone to sudden outbursts of enthusiasm. And to walking confidently into life, leading with the head (ruled by Aries) -- some may appear to be in an optimistic angle as they walk. The body language says it all -- "I'm ready for whatever life serves up." The Jupiter in each of us is where we tend to go big and can be “too much.” So with Jupiter in Aries, that can mean leaping before looking. But being a risk-taker and leader catches on, is contagious: you start fires, sometimes wildfires! As a native (with Jupiter Aries in your own birth chart), you feel most optimistic when beginning something new. You shine in situations where your role is to get the ball rolling. You're drawn to life's work that is always starting over in some way. An example could be a life as an educator, where a group of fresh faces enters your classroom every year. In fact, you tend to lose steam with the process part. However, there’s a good chance that there are other factors in your astrological make-up that give you staying power. Yours is a Jupiter that has a fearless streak, but not necessarily a whole lot of discipline -- to see a project to its conclusion. Look to the rest of the players (planets) in your chart, to stay in the groove, and bring what you started to completion. Jupiter is the confidence booster, the planet that makes you feel on your most “right” path. You thrive when you’re actively at your edge, discovering what you’re made of. It could be physical competition, or a game of wits – Aries, the sign of the warrior, comes alive in the heat of battle. It can be tough on you to be inactive or in a remote place -- away from the action. You are animated in vibrant, bustling places, like urban meccas where you can experience many firsts in one day. Travel for you is a pinnacle when there's a dimension of testing yourself. You might enjoy starring in an active-adventure, like crewing on a ship. Or travel with a physical challenge, like hiking or walking the Camino de Santiago. Jupiter in Aries or the First House means you come on strong, and have a forceful first impact on those you meet. You can be confident, but this will be tempered by other factors in your chart. Jupiter is the super-sizer, and Aries is the sign that is full of the Self. You'll want to pay attention if you're charged with being bossy or selfish. It takes big confidence, though, to make things happen. Aries is cardinal, and the first sign of the Zodiac -- you're born to be out in front, as a do-er inspired to take creative risks. This is your gift, and it can embolden others to take action, too. Jupiter's generosity makes you a cheerleader for others, especially when you see someone going beyond their known terrain. You feel most sure of your path when it's one of emergency. When you're at the leading edge of your abilities and talents, using them in new situations. If you're not challenged by your current set-up, you can become argumentative, and pick fights. If you're burned out (a danger for fire signs), it's time to go on the hunt for new experiences. And that's the key -- not living vicariously or virtually, but deeply engaged at the moment, in an activity/project that tests you in some way. It's through these tests that your character is shaped, as someone with the courage to blaze a trail. Is this maddeningly general? What do specific life experiences you suspect are related to your Jupiter Aries? 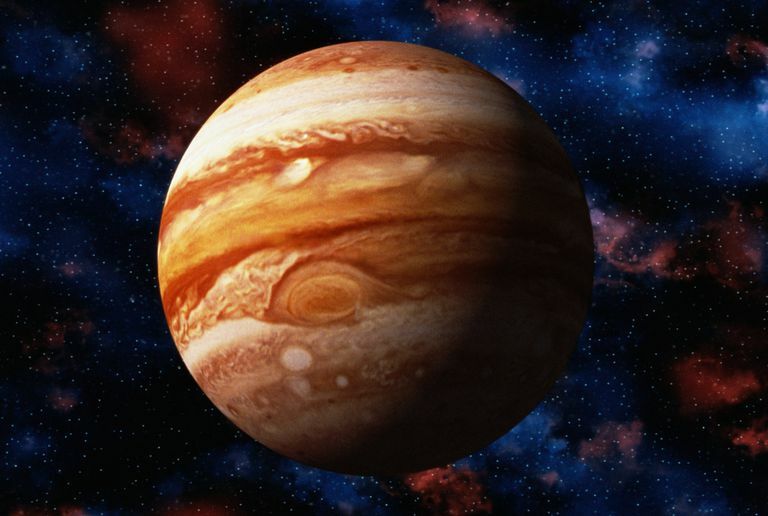 How do your other planetary energies support or hinder your Jupiterian impulses?